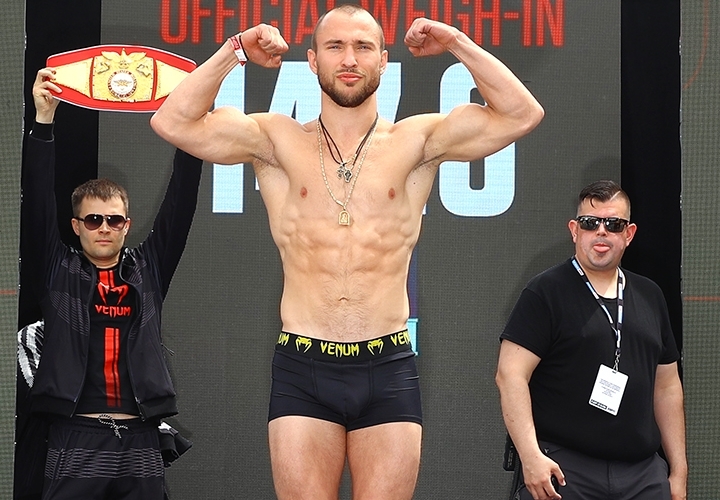 LOS ANGELES — Rising welterweight Alexander Besputin opened the Vasiliy Lomachenko-Anthony Crolla undercard in front of a near empty Staples Center. After Besputin’s dominant performance Friday, the Russian is a step closer to landing a fight much higher on the bout sheet with a lot more fans in attendance. Besputin cruised to a unanimous decision against Alfredo Blanco, with scores of 100-90, 100-90, 99-91, and improved his record to 13-0. Besputin is still likely ways away before fighting Terence Crawford — a potential bout Top Rank promoter Bob Arum discussed this week — but Besputin at least proved he’s a worthy challenger by pummeling Blanco for 10 rounds. In the first two rounds, Blanco came out swinging and managed to open a gash over Besputin’s right eye. Besputin waited out Blanco’s early barrage before taking over in the third round. Besputin, who fought from a wide stance, smothered the Argentinian with straight lefts. By the sixth round, a fatigued Blanco struggled to keep his hands up. Although Besputin had no trouble against Blanco, it’s not a good look that he was unable to knock out the 29-year-old veteran. Besputin entered Friday with nine knockouts since turning pro in 2015. But with Top Rank in need of welterweights it might not matter, when it comes to Besputin landing a title shot against Crawford, who fights Amir Khan for an ESPN pay-per-view bout on April 20 from Madison Square Garden. The main card for Lomachenko-Crolla streams on ESPN+ at 11 p.m. EST/8 p.m. PST, starting with the co-main event of Gilberto Ramirez versus Tommy Karpency.